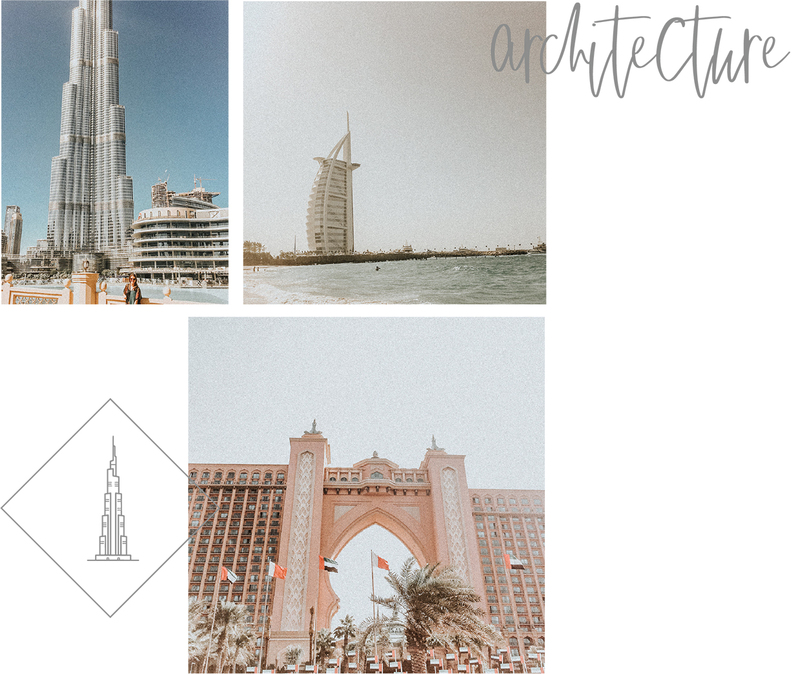 DUBAI was QUITE the experience, with quite a mix of middle eastern and western culture and mosques amongst city scrapers and palm trees, you can’t help but look up and be in awe. While quite a “new” city, it truly is ground-breaking how quickly Dubai has come to be and how they are willing to push the limits. We’re talking the tallest building in the world here (couldn’t even fit all of the Burj Khalifa in the shot, but I’ll slightly blame the other tourist who I got to take my photo), man-made islands in the shapes of palm trees and world maps (with the stunning Atlantis the Palm hotel on it), and what they’ve self-proclaimed as a seven-star hotel, the Burj Al Arab. Two out of three of those I could only view from the exterior (hotel being the key word here), but the Burj Khalifa was incredible to view from the 125th floor (not even the top!). Make a day of going to the Dubai Mall, exploring all of the shops, a Canadian classic of Tim Hortons, and even an aquarium. Time out your day accordingly, as the Burj Khalifa tour begins right outside the mall. You’ll have to purchase your tickets online first, and I opted for a 1pm time which worked well as right next to it is the Dubai Fountain Show and I was able to view it from above. Then, come back again for the evening show for a completely different vibe! Shoutout to my friend Nivi (who I was staying with and currently lives in Dubai) as she was able to get tickets to see Kygo, with the concert being right below the Burj Khalifa. It was a HIGHLIGHT for sure. Another favourite day in Dubai was exploring the Al Bastakiya area, which was more of “Old Dubai” and they’ve converted a lot of the old spaces into art galleries and restaurants. We checked out XVA cafe + gallery, and it was a middle-eastern interior designer’s dream. Add in amazing food and I was in heaven. 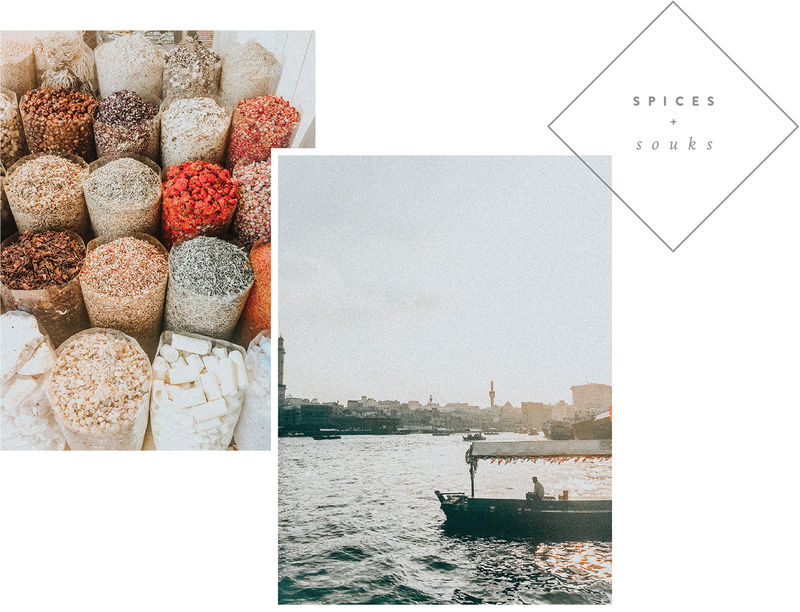 Because we were so close, we headed to the Gold and Spice souks after, a lot less overwhelming than the ones in Marrakesh and Istanbul, but still so incredible with all the sites and smells. We also took a drive through the desert with Arabian Adventures, which has lots of options including some night activities. 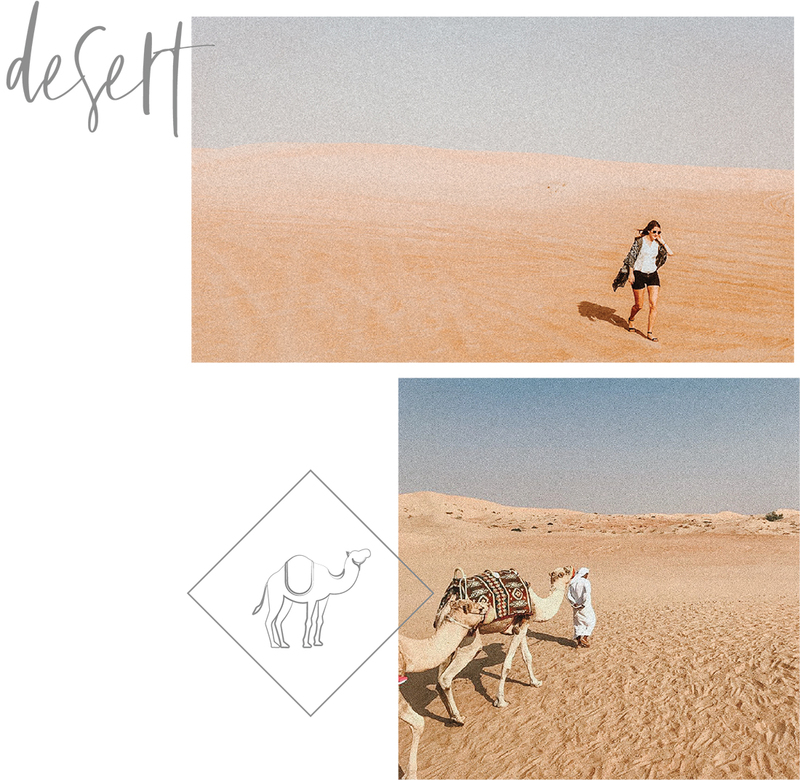 While less authentic than the Sahara desert, it was still so great to explore the vastness and a camel ride is always an interesting time! 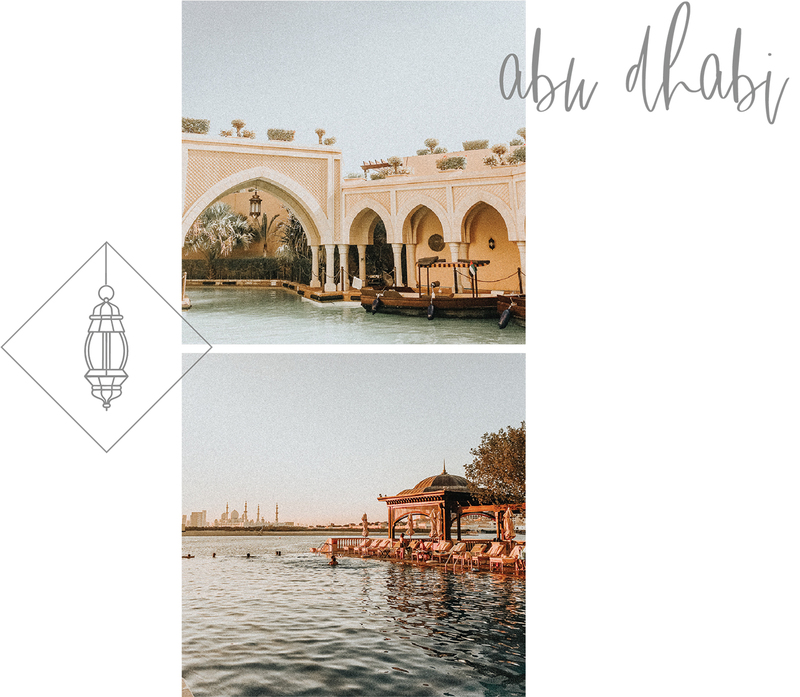 A quick hour and a half bus ride away, we headed to Abu Dhabi for a quick getaway. The highlights included the Louvre Abu Dhabi, who’s architecture was a masterpiece in itself. 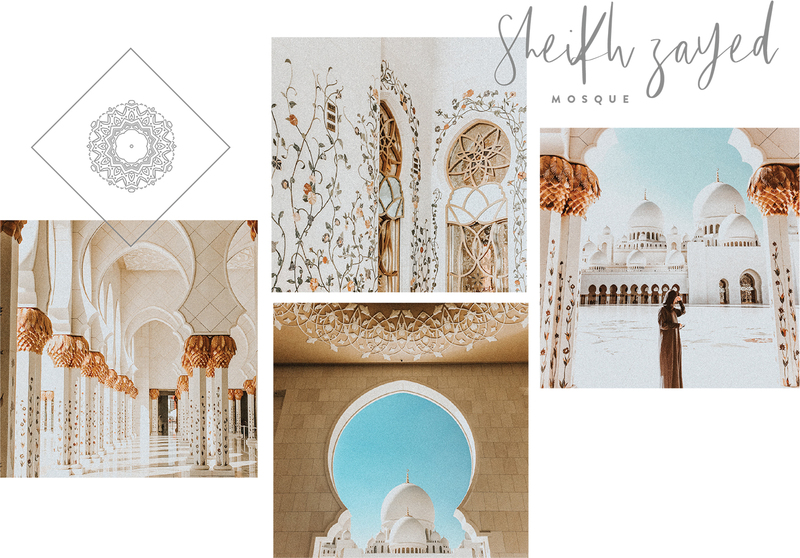 And, of course, the Shikh Zayed Mosque was an absolute beaut. Even if you arrive covered up, as a woman, they’ll give you an Abaya to cover your from head to toe. Each corner was stunning, and while you don’t need to spend more than an hour here, you’ll soak up every minute.